I bet this image is the first one you think of, right? In 1942 this was created in a series of posters for the war effort. Shown only to Westinghouse employees for about two weeks and then nobody ever saw it again until the 80s. 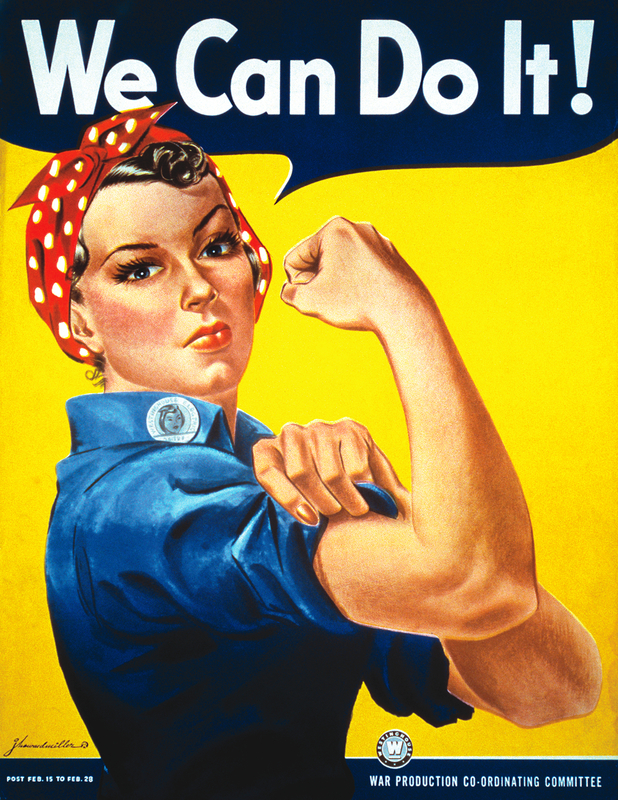 It then became famous and mistakenly called «Rosie the Riveter». You can see on her lunchbox that this girl’s name is Rosie. And what’s in her lap? Yes, a rivet gun. 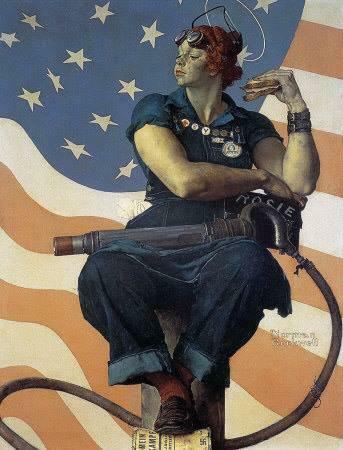 This is the picture from the war that got the name «Rosie the Riveter» even during the war. If you look at her body, she’s got quite masculine shoulders and arms. That is because the artist based the pose on Michelangelos Sistine Chapel ceiling image of the Prophet Isaiah. He later apologized for making her look so big and masculine. Mary Doyle Keefe, the model for the illustration. Keefe passed away April 21, 2015 at the age of 92. 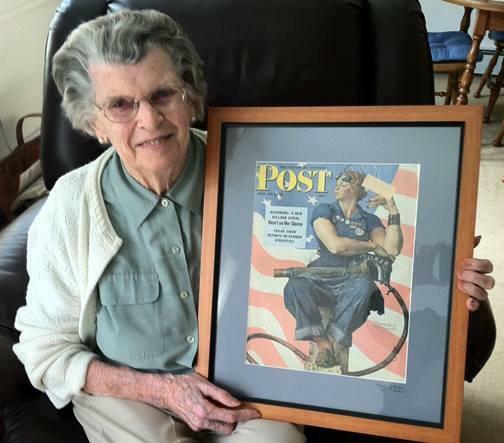 Friday May 29, 2015 it was 72 years ago this image covered the Sunday Evening Post.